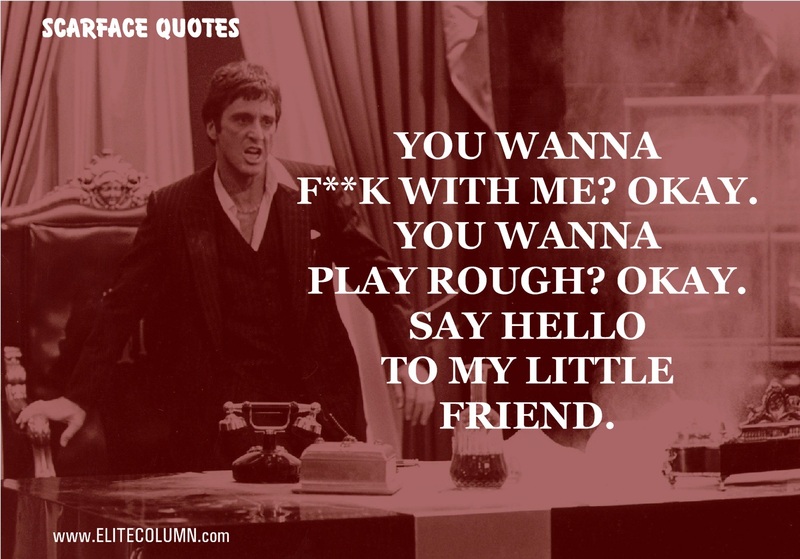 Scarface; starring Al Pacino was released in 1983 and it became an instant rage. 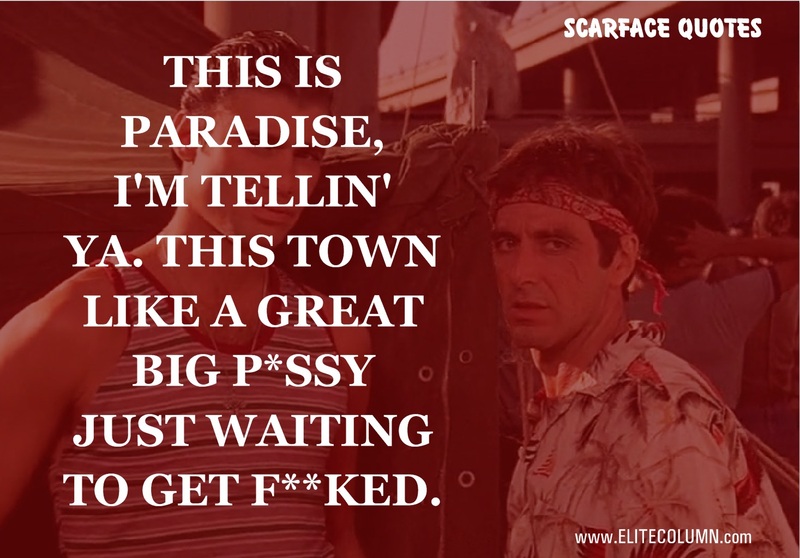 It was a movie ahead of its time. 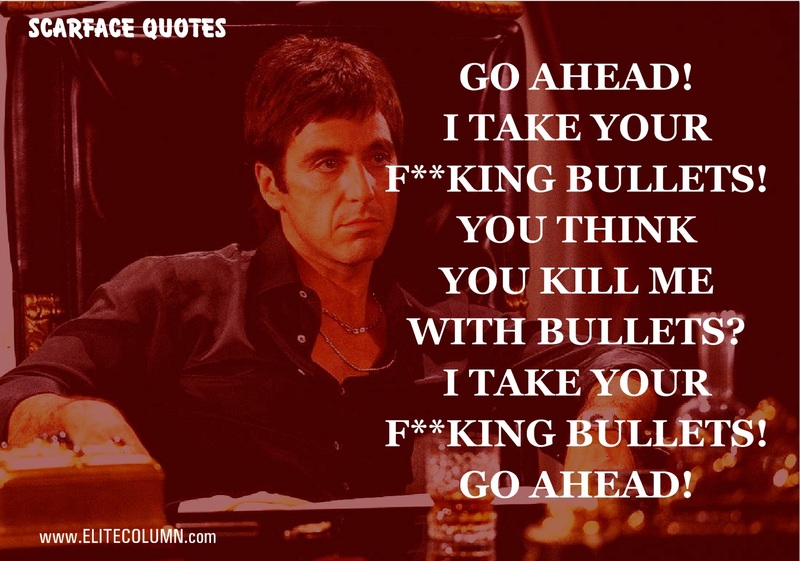 The excessive violence, profanity and abusive language was heavily criticized by the reviewers yet it is considered as one of the best performance of Al Pacino’s career as Tony Montana. 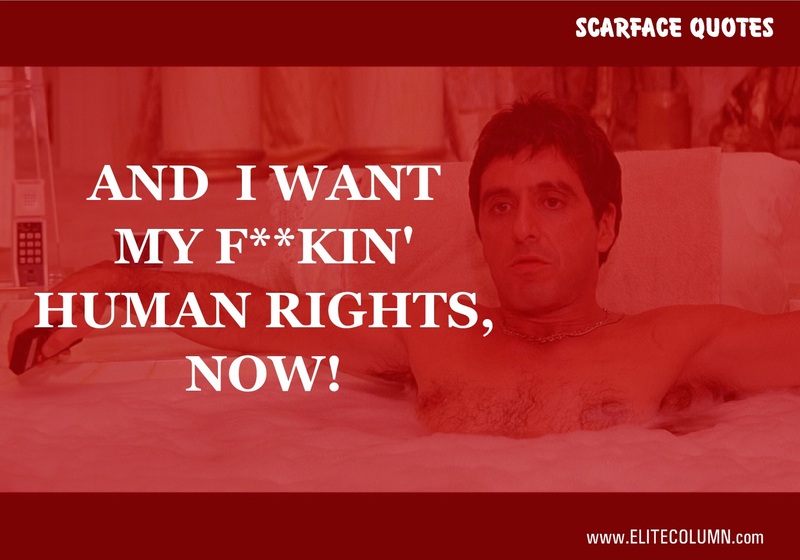 The refugee Tony with his thick Cuban accent used the choicest swear words throughout the movie. 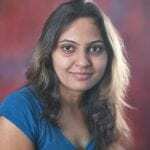 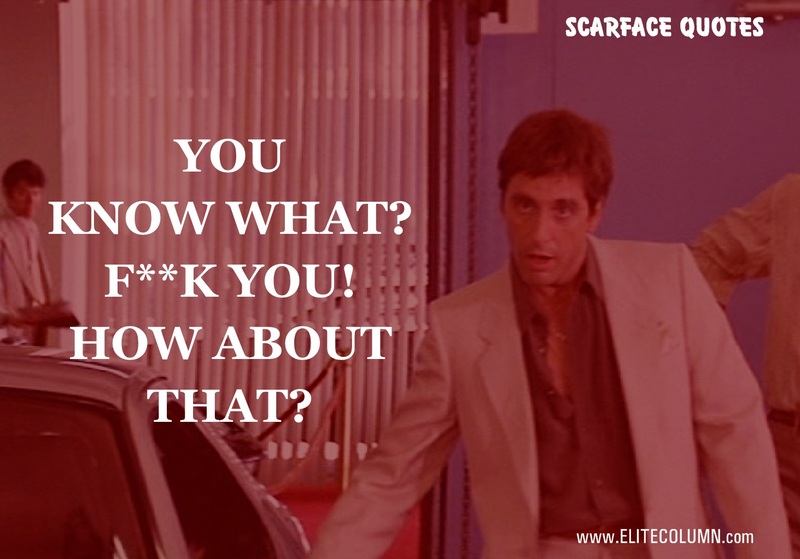 It was the first time that the “F” word was used so freely and frequently. 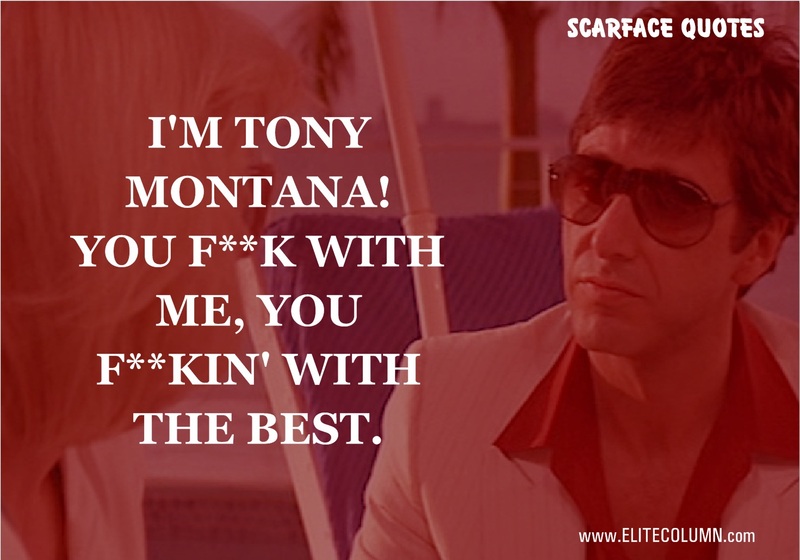 In the years that followed, the movie achieved a cult status and all the Tony Montana quotes and monologues have become iconic. 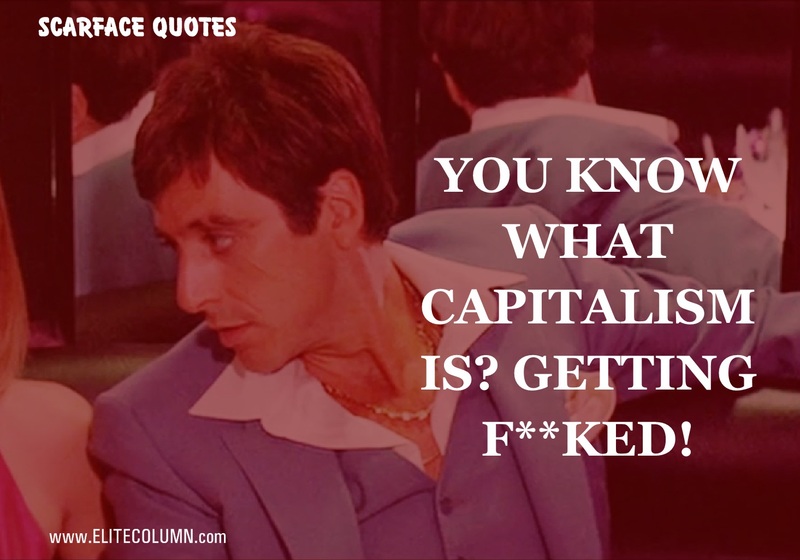 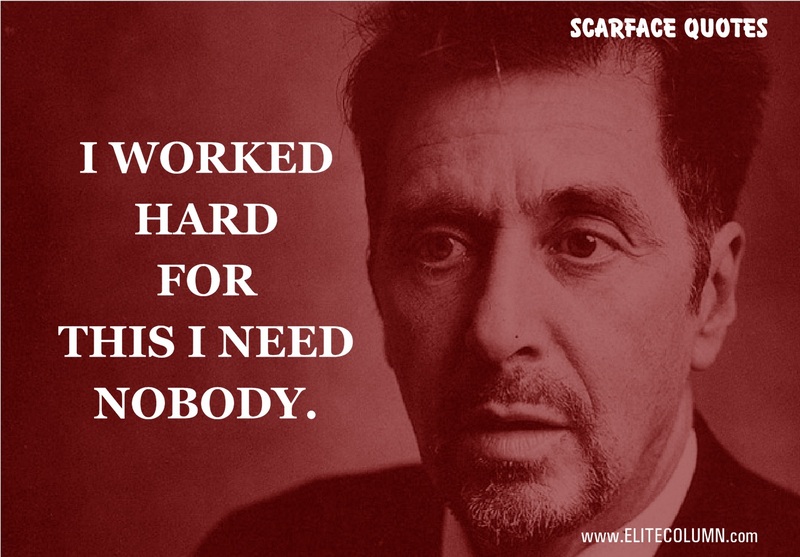 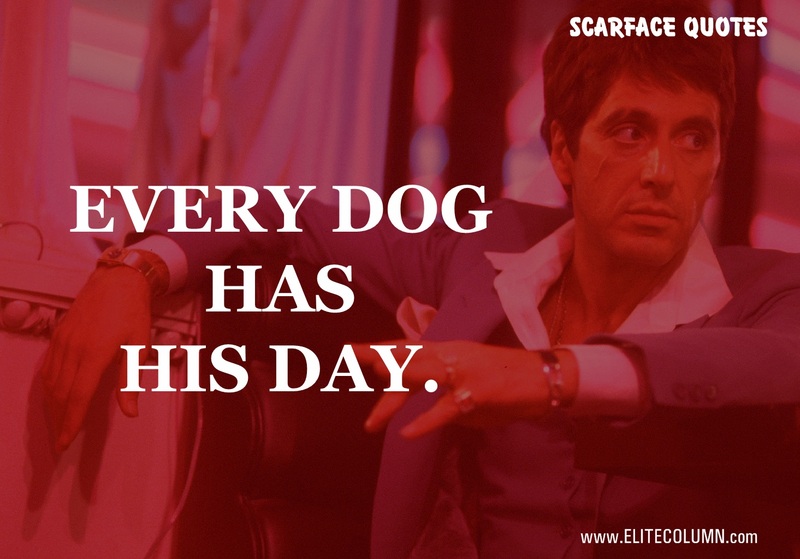 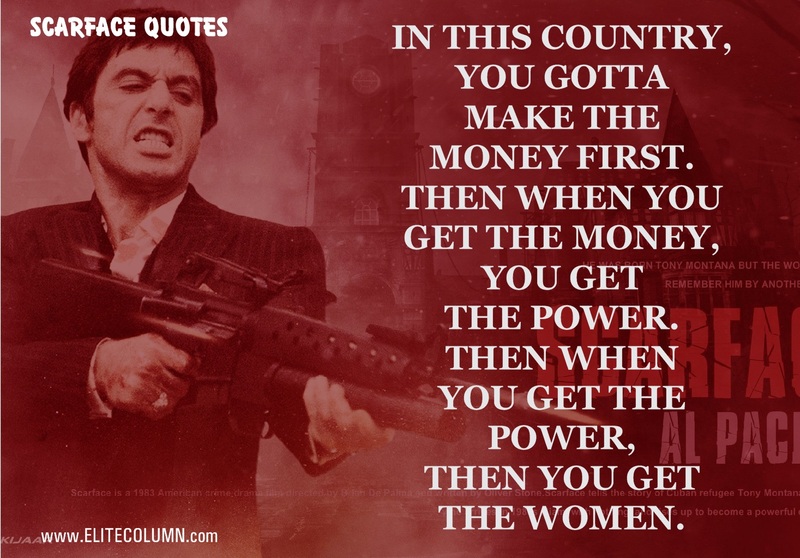 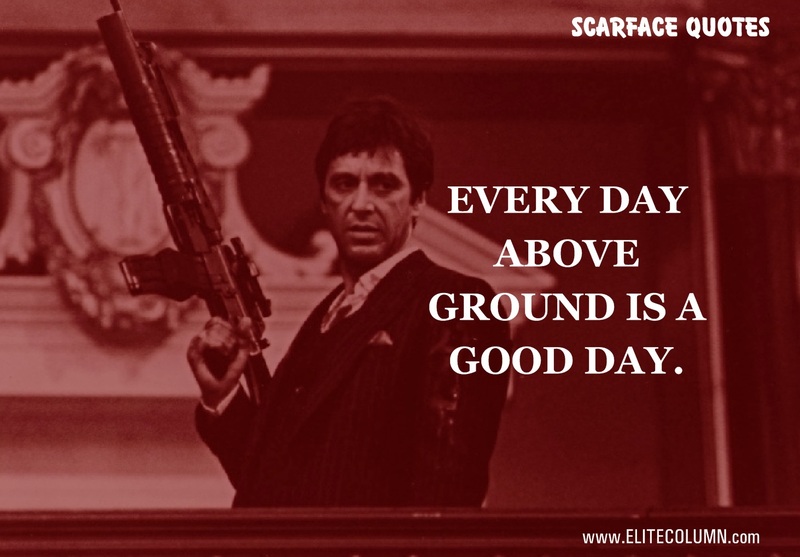 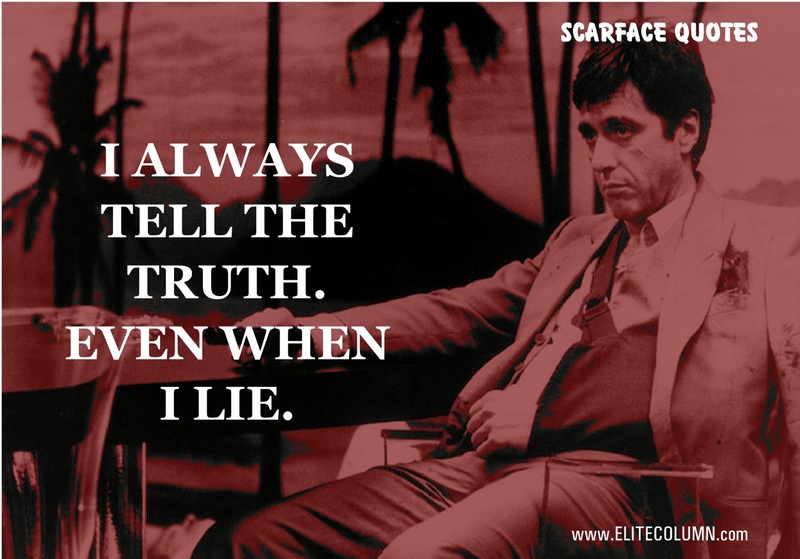 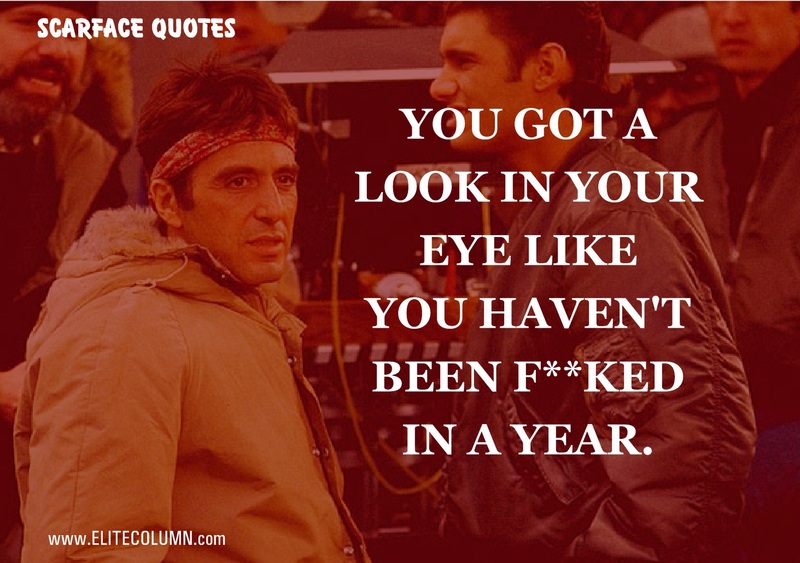 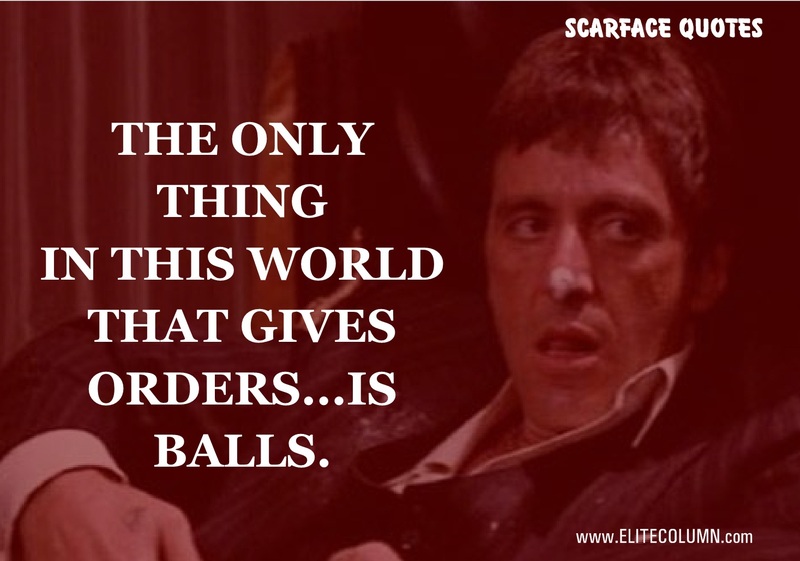 Have a look at some of the f**king best and famous scarface quotes.